John Henry MacCracken Professor of History Donald L. Miller acted as principal historical adviser and script consultant for a new documentary film, GI Jews: Jewish Americans in World War II. 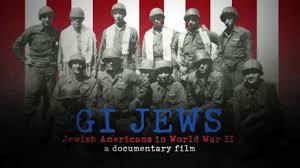 The film, which will air nationally on PBS at 10 p.m. Wednesday, April 11, tells the story of the 550,000 Jewish men and women who served in the American armed forces in World War II. For many of them, the fight against racism and intolerance was deeply personal: Thousands of Jewish-American soldiers had relatives imprisoned in concentration camps in Europe. Hollywood icons Mel Brooks and Carl Reiner are among the Jewish veterans interviewed for the film. Brooks served as a forward artillery observer and a combat engineer in Europe; Reiner trained as a radio and teleprinter operator but ended up serving in the Special Services entertainment unit, where he traveled throughout the Pacific to perform for troops. Miller was brought in at the very early stages of the project by notable PBS filmmaker Lisa Ades, who called on his expertise to help hammer into shape the film’s script and the federal grant proposal to fund part of the project. Miller also advised on the script’s historical accuracy. 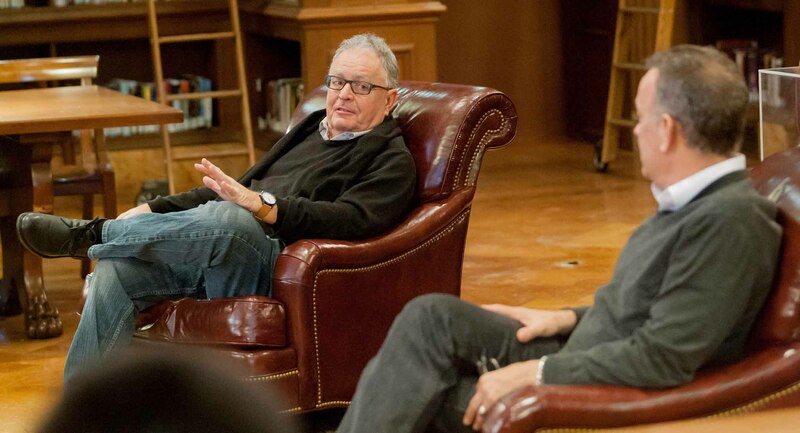 Professor Donald L. Miller talks with Tom Hanks in a classroom discussion at Lafayette. Film consultation is hardly a new endeavor for Miller. The best-selling author is a respected authority on World War II and is frequently asked to contribute to films for HBO and PBS. He has worked with Steven Spielberg and Tom Hanks on several projects, including the 10-part HBO series The Pacific. His projects have gone on to receive many prestigious accolades, including Emmy and Peabody awards. Miller recently retired from teaching at the College to devote more time to this type of work. He and Hanks are in discussion on their next production, an HBO miniseries adapted from Miller’s 2007 best-seller, Masters of the Air: America’s Bomber Boys who Fought the Air War against Nazi Germany. It wasn’t Miller’s intent to become a military historian. He was trained as a historian of American philosophy, and his first notable books were about the Great Depression and the history of cities. They include two award-winning works: Lewis Mumford, A Life and City of the Century, a wide-ranging cultural history of Chicago. Learn more about Miller’s career and extensive body of work.